How do I assign a color to a shift? When creating a shift, you will be able to assign it a specific color. Assigning a color to a shift can be done when creating a new shift. There are several color options available. 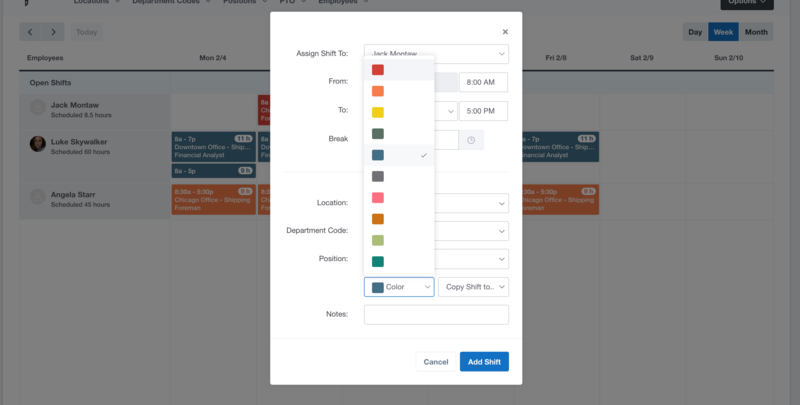 Once the shift is published, it will show up with the color selected to help you differentiate between your employees.